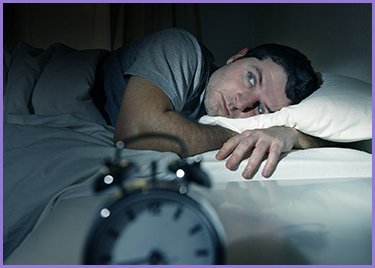 Answer: Sleep problems from sedatives are so common and unfortunately so difficult to treat. The most common prescription drug-type sedatives that result in rebound insomnia are barbiturates (such as Phenobarbital and many others) and benzodiazepines (alprazolam, Xanax, diazepam, Valium, lorazepam, Ativan, and many others). Alcohol acts very similarly, and can also be considered a sedative when used in high doses (3-6 servings in 24 hours) on a regular basis. These sedatives are well-known for their addictive properties. Your brain may need higher and higher doses over time to achieve the same results of sedation. Eventually, the neurochemistry in your brain may become dependent on the drugs. But even with the drugs, the chemistry is not quite right. When on the sedatives, you do not have as much REM sleep, which is a stage of sleep that helps with memory consolidation, among other functions. Plus, some benzos such as Valium suppress the total percentage of time in stage 3 and 4, which are deep sleep. Deep sleep is when your brain produces growth hormone and leptin, an appetite suppression hormone. So your sleep on sedatives is actually pretty disturbed over time. Even if you are asleep, it's not as restorative as sleep without being under the influence. To regain truly restful sleep, you would have to come off of sedatives altogether. When coming off the sedatives, insomnia is almost always a given. Sedatives work on the neurochemicals that cause sedation (namely, GABA). The brain stops responding appropriately to GABA when on the drugs. When you suddenly withdrawal the drugs, the brain needs some time to start use GABA appropriately again. That can take weeks. In fact, it's actually extremely dangerous to suddenly stop taking sedatives. The excitatory chemicals in your brain and body - when suddenly not balanced by the sedatives - can cause cardiovascular instability, increasing your blood pressure, heart rate, and anxiety to dangerous levels. It is possible to die from sedative withdrawal, just like it's possible to die from the delirium tremors from alcohol withdrawal. The best way to get off sedatives and still sleep is to come off slowly. The length of time needed to come off depends on how long you've been on the medications and how high of a dose you're at. You should consult your doctor about this. If you see a psychiatrist, they should be accustomed to weaning patients off sedatives. If you see a family doctor and are on high doses for more than a few months or have a history of poor weaning, consider asking to be referred to a psychiatrist to help with the weaning. Generally, you'll want to decrease by 10% every 1-2 weeks if you are super sensitive. Some people need even more time than that. Each step down may cause mild withdrawal symptoms such as palpitations, anxiety, and sleeplessness. Hopefully it won't last more than a few days. If you have to take half or even quarter pills to get to the 10%, then so be it - but double check with your doctor. Some pills shouldn't be broken because they are designed to breakdown more slowly than a powder. A mortar/pestle, a very fine scale for lightweight things, and empty pill capsules may be necessary to get to the fine gradations for 10%. Plus, check with your doctor for the ideal amount of time you can go without taking something, since various drugs have various half-lives, which if how quickly your body processes and eliminates the drug. Some drugs take 8 hours to leave your body, some take 3 days. If you are on a drug that is dosed multiple times a day, you may need to switch over to one that is dosed less frequently prior to the weaning process. Quitting sedatives can be a long, painful procedure unfortunately. When weaning off sedatives, you definitely want to avoid all forms of stimulants. That includes caffeine (coffee, tea), guarana (which contains lots of caffeine and is in many energy drinks), taurine (in body building supplements), L-carnitine (in body building supplements), creatine (in body building supplements), Yerba Mate (a tea), and acai berry (popular antioxidant fruit), among many others. Needless to say, ADHD medications should also be avoided, especially if they are not prescribed to you. Adhering to the routine sleep hygiene rules as strictly as you can is also necessary. The key ones are waking up at the same time every day, not taking late naps, and early morning exposure to sunlight. Often, a combination of all of these symptoms (palpitations, anxiety, and insomnia) just make you feel really bad because it's a feed-back cycle. You worry about the palpitations in bed, so insomnia and anxiety worsen. If you can get rid of one or two of those symptoms, then the other symptoms may be easier to manage. Once finally weaned off of sedatives, you should maintain at least a year of being completely "dry," which means no sedatives of any sort, even alcohol. 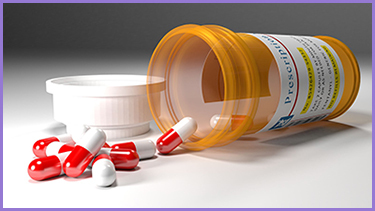 Sedative abuse has very serious consequences and an extremely difficult withdrawal process. Don't be afraid to ask for help. If you find that the health care providers are judging you, not helping or respecting your resolve to quit, or if they are telling you to quit cold turkey, then find a new health care provider. It's worth the difficult months even years of weaning off sedatives, so work with your health care provider to achieve your goals. Ultimately, being clean is the healthiest for your sleep, sanity, and overall health. This is the link to buy SleepPhones headphones, which can help you listen to . Disclaimer: Written by Wei-Shin Lai, MD. This should not substitute for medical advice from your doctor. Please call your doctor if you have questions about sedatives.